The fast, ever-changing lifestyle that envelopes most of us makes it hard to decide what to look for in a house. What you need from a house today may change down the road. So the best advice for most of us is to choose a house that offers ways to alter or expand in the future. Before you look for a home, sit down and consider what changes you see fit for your future. Do you plan on expanding the size of your family? Will you be retiring? Have you thought about starting your own business? Do you wish you had more time for baking or for fixing up cars? Once you consider the changes that are most likely to occur in the years to come, you can keep these dreams in mind when viewing homes. If expansion is in your future, you can never go wrong with extra storage. Even if you can’t fill an attic, crawlspace or basement now, these areas are great for storing miscellaneous items. Later, if desired, you can renovate these areas and double your amount of living space! Extra bedrooms now could always provide overnight stays for guests; later, you could repurpose these rooms into offices, media rooms, hobby rooms or anything you prefer. If an increase of living space is not required in your future, stick with fewer rooms and a lower cost. Keep your hobbies in mind. If you want to bake more often, pay attention to the kitchen. 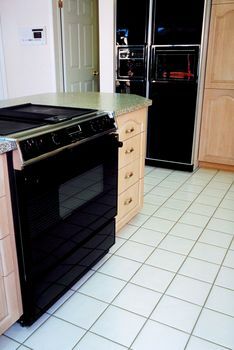 What type of appliances does it contain, how much space is available and when were the cabinets/counters last updated? If fixing up cars is your thing, check out the garage, shed, carport or driveway space. Does your future require a large yard? If you plan on owning pets or having kids, a large yard will definitely come in handy. If retirement is in your cards, you might not want to deal with mowing a lawn or dealing with landscaping. If you like to host get-togethers or have company for weekends, take note of how much space for entertaining is available in the kitchen table area, the dining room or the sunroom. Is there a room that you could convert into a guest room? Are you a technology buff? Even if your hobbies consist of playing video games and watching movies, count the number of electrical outlets that are available. This is a must for an interest in electronics! It’s sometimes difficult to comprehend what direction your life might lead you in. But looking into your future now might save you another move in the long run! Because the housing market is in turmoil, with foreclosures popping up all over—maybe in your neighborhood even—working to increase the value of your home is more important than ever! Now is the time to fight back against plunging prices. And the best way to do that is to get knowledgeable. You need to know what people are looking for from a home these days. By keeping up with current trends, you will make smarter changes to your home that will be worth the extra cost in the long run! One final tip: Since most of us are on a tight spending budget these days, this article will help you learn how to add value to your home in a cost-efficient way. There are so many ways to make your home greener these days. You can install eco-friendly flooring, counters and appliances. You can repurpose old furniture instead of throwing it out to take up more space in a landfill. 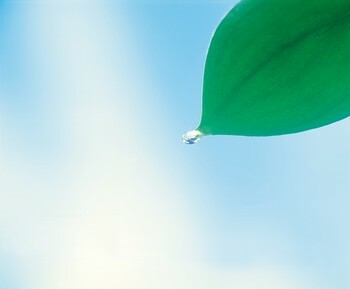 You can plant a garden that boasts water conservation. Now even your roof can be green, both literally and figuratively. Green roofs, also known as “vegetated roof covers” and “living roofs,” are literally roofs made of thin layers of plants installed on top of conventional roofs. There are two types of green roofs, an extensive green roof and an intensive green roof. Extensive green roofs are the thinner with only two to six inches of a growing medium, less expensive and lighter. They are low maintenance and are generally covered with low growing, horizontally spreading root plants with maximum heights of 16 to 24 inches. 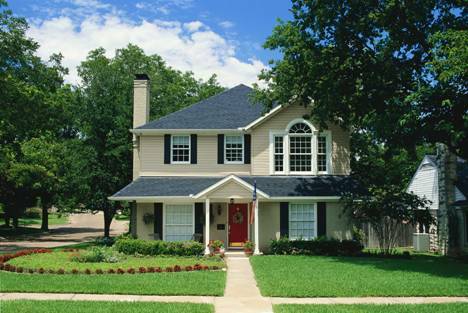 Extensive roofs typically cost, on average, about $14-$25. Intensive green roofs look more like a lush natural roof garden with two to four feet of soil. They use a variety of plants and the maintenance is more involved. They are the more colorful and visually stimulating of the two types of green roofing. They can even incorporate features such as fountains. Each roof contains a waterproofing layer, a drainage layer, a growing medium (like soil, peat and soil) and vegetation of some sort. The plants chosen for the green roof should be tolerant of extreme weather conditions and resistant to bugs and diseases. Succulents, mosses and grasses are typically the best choices and come in a variety of colors. As with all home improvement projects, there are considerations you’ll need to make before you install a green roof. You need to consider the climate you live in and well as the rainfall patterns of your area. You need to find out the strength and support of your current roof to make sure it can hold up the addition of a green roof. If it’s not structurally sound enough, you’ll have to reinforce it. 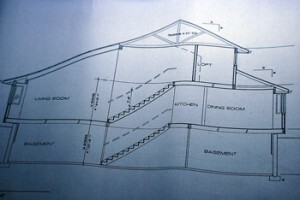 The size and slope of your roof needs to be considered. Flat roofs are probably best, but green roofs can be installed on sloping roofs too. What are your personal aesthetic preferences? These will play a part in the design of your green roof, and so will the architectural style of your home. Budget is another consideration to be made, and it’s an important one. Like all projects, research first, then decide on a budget before you get started with any physical work. Not only do green roofs add visual interest to your home, but they can help reduce those pesky heating and cooling bills that show up like clockwork every month. In the summer, the green roof stays cooler than a traditional roof so less energy is used on air-conditioning. Similarly, in the winter the insulation of the green roof can help cut down those heating costs! Green roofs can also help improve water quality, extend the life of your traditional roof, help get more oxygen into the air! Green roofs are stylish and unique while simultaneously helping the environment. What could be better? While sustainable living does seem to be the trendy thing to do today, it really goes beyond the fad. With the global climate crisis weighing down on us, it’s smart to consider your options, especially when it comes to your home. Sustainable flooring is one option. If you’re looking to redo the flooring in your home, think about using cork or bamboo flooring instead of the traditional options of hardwood, laminate or carpet. 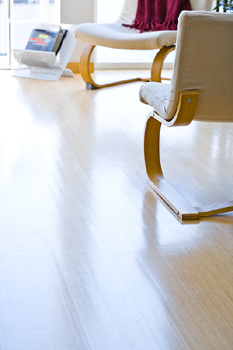 Bamboo flooring resembles traditional hardwood, but it is generally less expensive. It’s also harder, and therefore more durable, than traditional hardwood flooring. Bamboo is actually a grass that is harvested, split-flattened and then laminated. Once made into flooring it comes in planks, tiles or hand-scraped versions. Bamboo flooring comes in many colors, both natural and stained, to suit any room in your home. Bamboo is environmentally friendly because it matures every 5-7 years, and once it’s harvested the root continues to grow. That produces more stock. How Do You Maintain Bamboo? Maintenance of bamboo flooring is simple. Just sweep vacuum like any other floor to keep away dust and dirt. Cork flooring is made from cork oak bark. It takes 25 years for the plant to mature, and when it’s harvested, the tree is not harmed. It stays alive while the bark redevelops. Cork flooring comes in tiles that are glued down or in planks that are floated. (Floating floors are floors that are not adhered to the subfloor.) Cork flooring comes in a variety of natural and stained colors, but it can only be stained if the surface is unfinished. Cork flooring is known for its softness. Cork’s cell structure is made of millions of air pockets, meaning you don’t get sore standing on it for long periods of time. It’s not spongy, though; it retains a solid feeling. Cork flooring makes a natural noise reducer. The air pockets also absorb vibrations, so cork floors are especially great for rooms like a recording studio, a child’s playroom or an area for entertaining. Cork is also anti-allergenic because it produces a waxy substance known as Suberin that repels bugs, mold, mites and termites. If you suffer from allergies but don’t want to suffer from a cold, unwelcoming floor, this is your answer! How Do You Maintain Cork? Cork floor maintenance is simple. Like most other flooring, just sweep, mop and vacuum regularly. Both bamboo and cork flooring can be used in any room throughout your house. They look sleek and stylish, with the added bonus of being green! 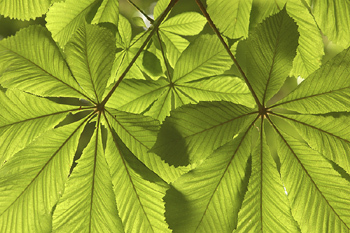 Today, green is more than just a corporate buzzword. To many, it is a new way of thinking and living, and this environmentally forward movement has even affected the housing market. Green houses and green building are sprouting up across the nation and capturing America’s imagination in the process. For those who cannot afford a new, eco-friendly house, here is a list of renovations to make your current home as green as it can be. 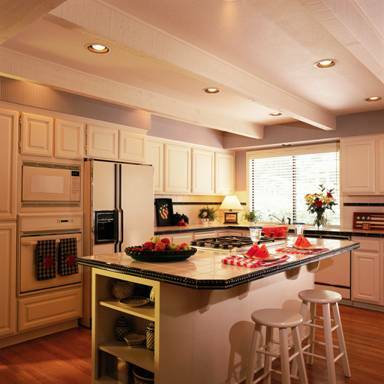 Increase your home’s energy efficiency. Replacing old windows and doors with new, energy-efficient models is a great way to help out the environment and save on utility costs. Consider the placement of appliances. Refrigerators blasted by the sun’s rays or subjected to heat from an adjacent oven or heating vent have to work harder to chill your food. If possible, relocate the fridge to a cooler spot, or close window coverings to keep the sun off. Remove window units during cold months or insulate them with tight-fitting A/C covers. In the winter, room air conditioners installed in windows can be a source of cold drafts. Install motion sensors, photocell controls or timers so outdoor lights are only on when needed. Reduce light pollution and keep the night sky darker by using light fixtures that direct light downward instead of toward the sky. Replace your lights. Compact fluorescent lights use up to 75 percent less energy than their incandescent counterparts. Add dimmer switches if you have incandescent light fixtures where you can’t or don’t want to use compact fluorescent bulbs. Dimming shaves a bit off an incandescent bulb’s energy use and makes the bulb last longer. 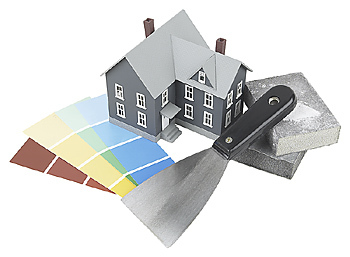 Buy low-VOC or no-VOC paints and breathe easier. Volatile organic compounds, like those found in many paints, can cause pollution within the house. To stop drafts and air leaks, install weatherstripping around doors and caulk cracks around windows. Check the heating and cooling systems’ ducts to make sure all joints are connected and well-sealed. Make sure the door between the garage and house seals tightly, and caulk or seal any cracks or openings between the garage and house. 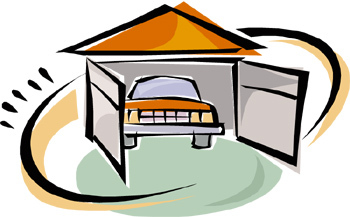 If your garage is attached to the house, fumes from car exhaust and stored chemicals can enter living spaces through gaps around doors or cracks in the ceilings and wall. Reduce energy bills by as much as $150 a year with a programmable thermostat that adjusts the temperature when you leave the house or go to sleep. Choose salvaged, secondhand or antique furnishings, doors, trim, fixtures and other items. Brighten up dark hallways, bathrooms and other spaces with tubular skylights. They let in daylight without the excess heat. Check out great bamboo alternatives for floors, cabinets, built- ins and furniture. Plants like bamboo that can be harvested and grown again within a short time ease demand for slower-growing trees and nonrenewable resources like petroleum. Choose Energy Star-qualified appliances that use 10 percent to 50 percent less energy and water. Consider a green roof, which is typically planted with native grasses, wildflowers or other climate-appropriate groundcovers. Green roofs slow the flow of storm water off the roof, keep surrounding outside air temperatures cooler, insulate the home from noise, heat and cold and may even extend the roof’s life. Add solar electric or water-heating systems. A solar electric system can offset some or all of your home’s electricity use, while solar water-heating systems can heat water for sinks, showers, laundry, home heating, pools and spas. Choose carpeting, rugs, window treatments and other textiles made from natural fibers, such as cotton or wool, which are untreated and free of toxins, such as pesticides or chemical cleaners. Use a front-load washer, which will cut your water-related energy use by more than half over a top-load washer. You only need about 10 to 20 gallons of water to do a full load, while a top-load washer would have required about 40 gallons.